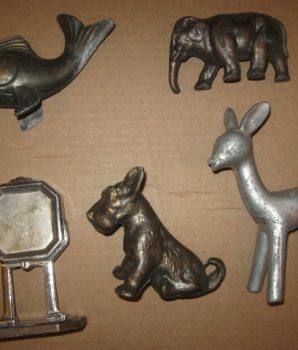 Vintage Cast metal digger/claw machine prizes. 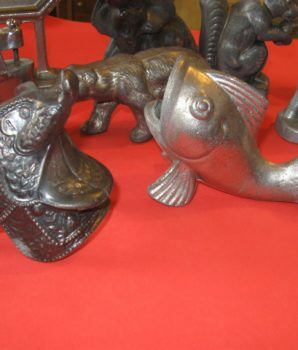 Mainly metal animal figurines. 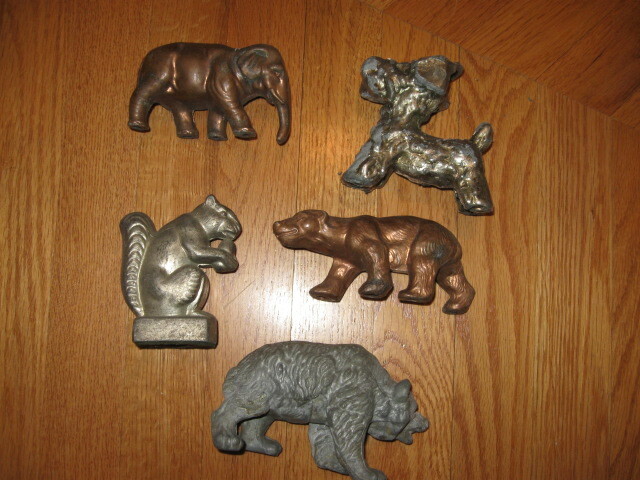 These are rare machine prizes from the 1930s-1940s. Found at a digger operator’s warehouse. 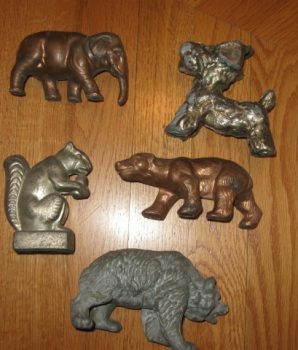 These metal prizes were used in early penny arcades to attract players to play the claw machine. The operator would wrap a one dollar bill around the metal prize. 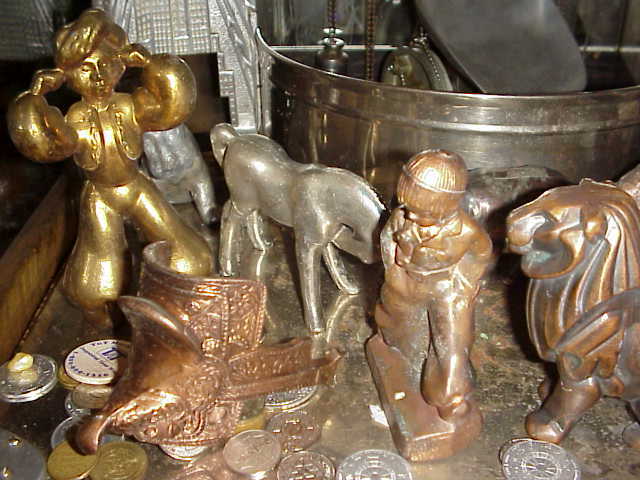 The lucky person would insert coin in digger machine to attempt to win one of these rare prizes. Average size of each claw digger prize: 4 inches. 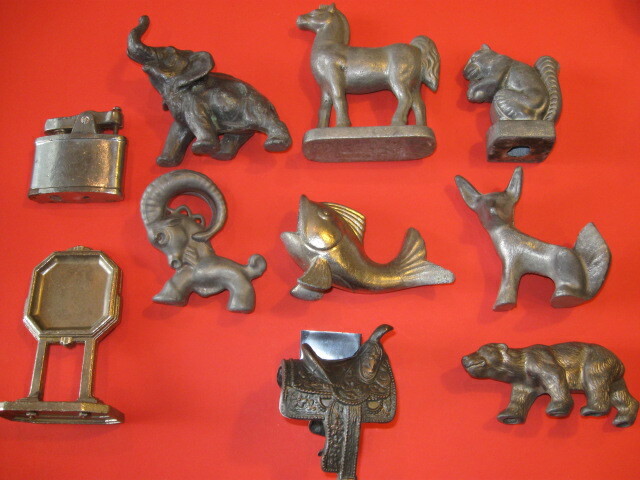 Selections include metal bear, horse, dog, lamb, squirrel, fish, elephant, deer, and saddle. 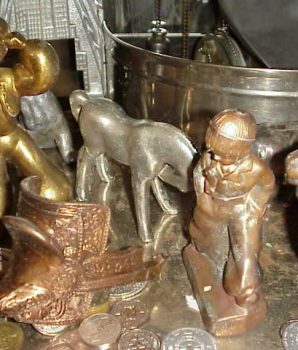 The horse is the tallest at 6 inches. 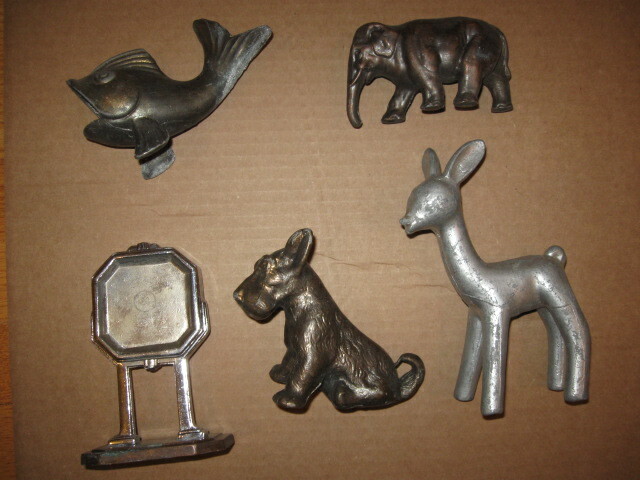 Please email or call to select your choice of digger machine metal prize and confirm availability of type. $25 each or 2 for $45 plus $27.50 for shipping/handling. 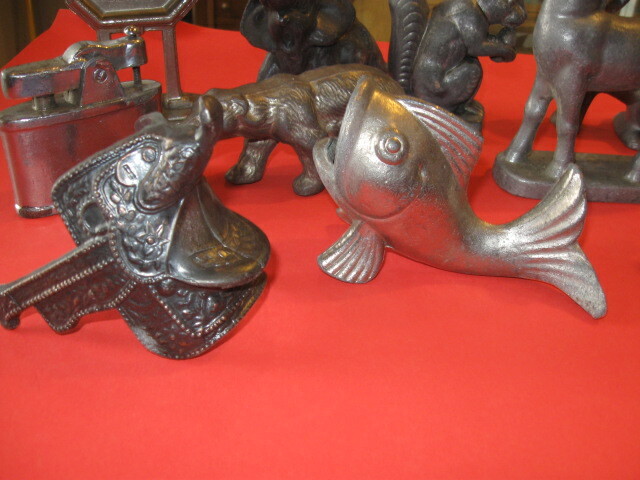 Very attractive collectibles in good original condition. Use it in your digger machine or decorate your home. 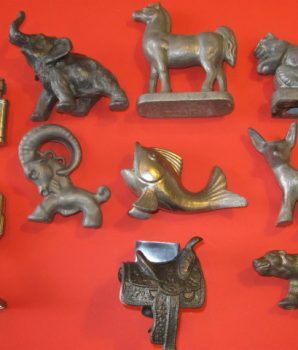 Place these antique metal animal figurines on any tabletop or shelf for a touch of vintage decor.